Former CIA Director John Brennan lit into President Trump on Friday night, calling him "drunk on power" and "abusing the power" of his office. "I think right now, this country is in a crisis in terms of what Mr. Trump has done and is liable to do," Brennan told MSNBC's Rachel Maddow. [post_ads]"And so, are the Republicans on the Hill - who have give him a pass - going to wait for a disaster to happen before they actually find their backbones and spines, to speak up against somebody who clearly, clearly is not carrying out his responsibilities with any sense of purpose and common sense from the standpoint of national security," Brennan continued. Brennan also told Maddow that he was considering his legal options after Trump pulled the security clearance "to prevent this type of abuse by Donald Trump in the future." Trump sent shockwaves through the intelligence community on Wednesday when he revoked Brennan's security clearance. 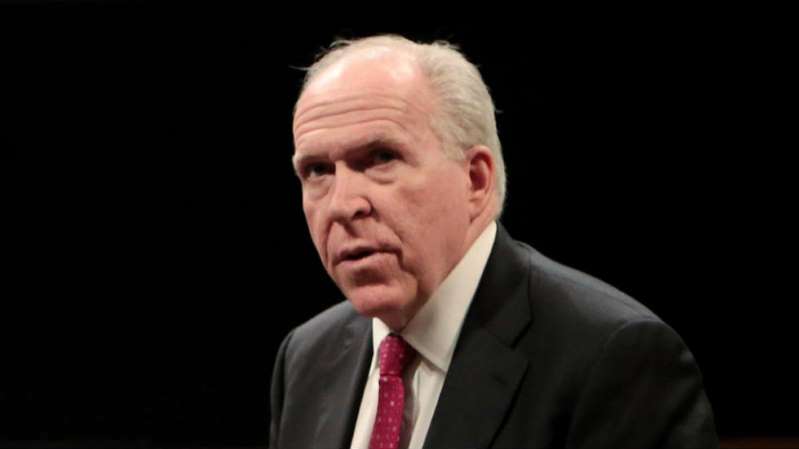 Former intelligence officials and critics of the move decried it as an attempt to silence Brennan, who is a frequent critic of the president. The White House denied that revoking the clearance was a retaliatory move, saying it was done in response to Brennan's "lying" and "increasingly frenzied commentary." Brennan tells @Maddow that he is supportive of improving relations with Moscow, but "there is something that is very disconcerting, very worrisome" about how President Trump interacts with President Putin and the Russians.